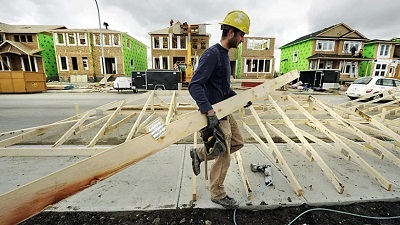 As reported on CBC News, the construction of new homes in Canada will continue to decline for the next two years as the economy slows and higher interest rates weigh on consumers, according to a new report from Altus Group. The real estate services firm said the seasonally adjusted annual rate of housing starts will fall to 208,550 units this year, and then decline further to 205,050 units in 2020. That’s a two to 3.7 per cent drop from 2018’s 212,843 total units. “Policy induced turbulence is generally in the rear-view mirror, but housing demand is not expected to recover significantly,” the report said, referring to 2018’s stricter mortgage stress tests. The fall in housing starts also comes as sales in the country’s biggest housing markets continue to decline. “This additional cost isn’t generally high enough to be a default risk, but may be dampening consumer spending power, including for move-up buying decisions,” the report said.